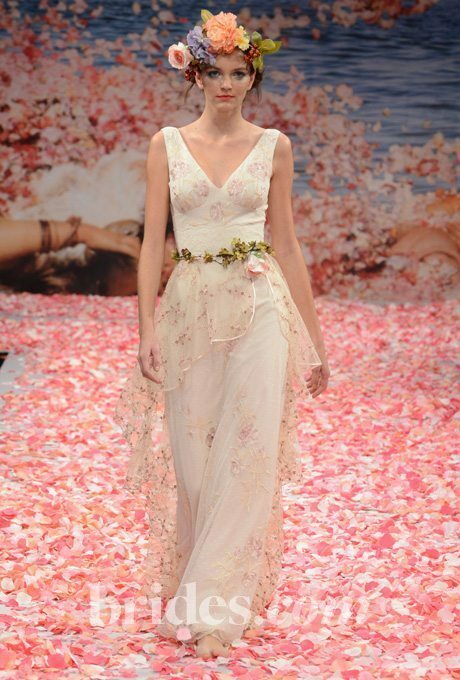 Your summertime celebration should be topped off with a light, whimsical gown. 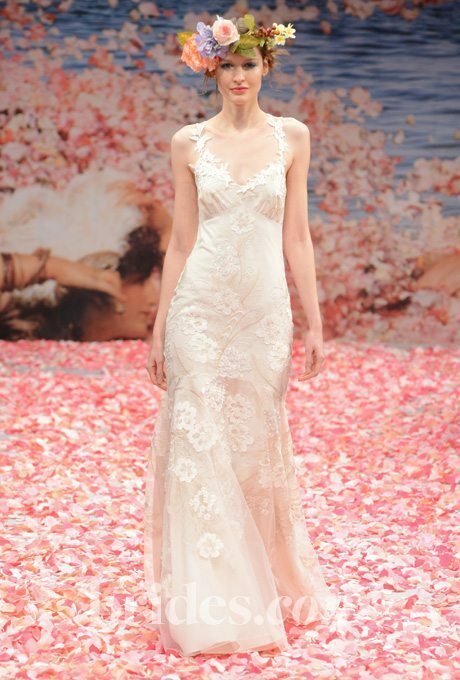 And these linen pieces from Claire Pettibone are perfect for the party. The detailing on these cap sleeves have so much interest and texture built up in such a small space that we’re completely impressed. This gown has a light lay overlay and a flowing skirt made for walking down an aisle and showing off during the warmer months. The pop of color on this poppy-filled gown makes it a perfect choice for a more upbeat vow renewal or second wedding celebration. 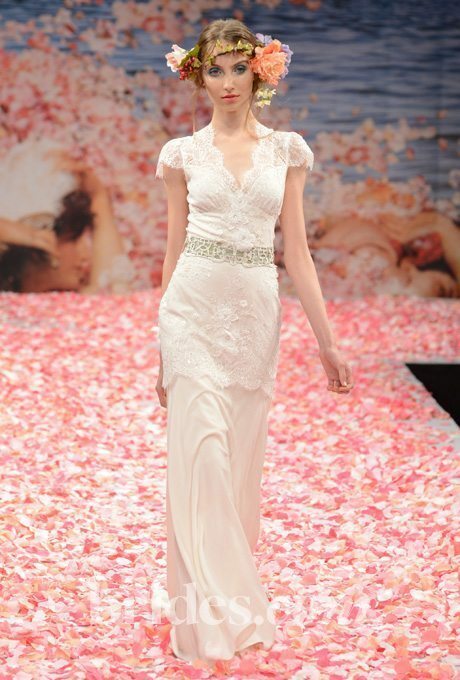 The classic, a-line silhouette seen in this dress only highlights the bride, her curves and the lace layers. One of the more simple of the bunch, the small embellishments and sultry fabric make this a very whimsical and daring choice. 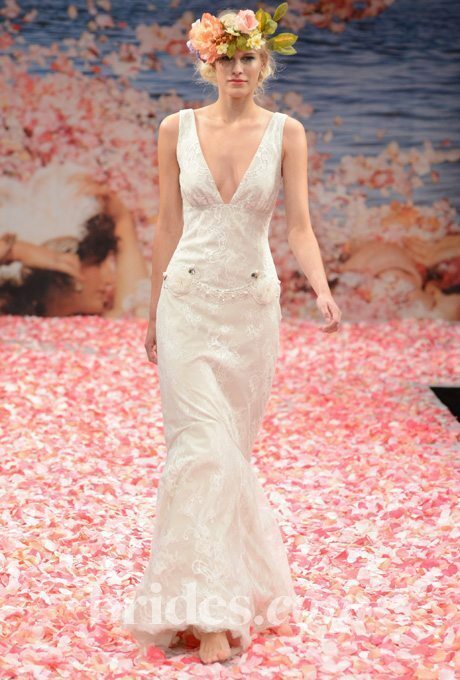 We are loving the light textured lace that covers this gown. And we love the sleeves and deep-v neckline as a sexier, sophisticated addition. 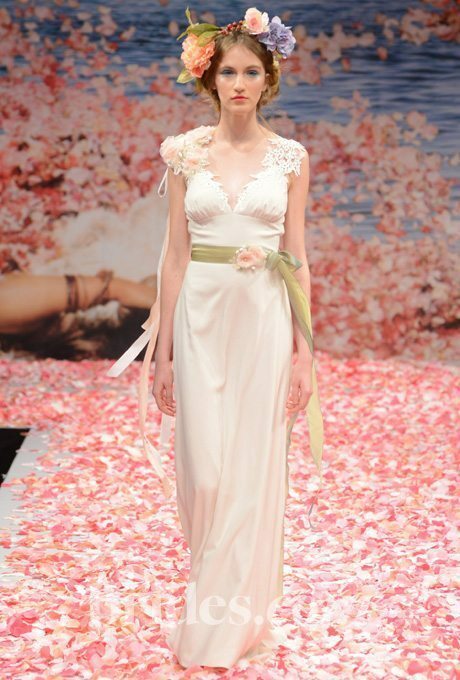 More color and design-worth is infused in this gorgeous, garden-inspired gown. We’re loving the fairy-tale like quality.